Yesterday we finagled an invitation to visit a Vermont gentleman that has built his tropical dream home with his own hands (with help from his Panamanian neighbors) on property whose beauty is unmatched. The centerpiece of this location is a ficus tree over 50 feet tall with a diameter of 12 feet! Looking to the east, one can see the Pacific Ocean, the out islands; about 50 miles total. To the west, mountains cloaked in clouds rise proudly. 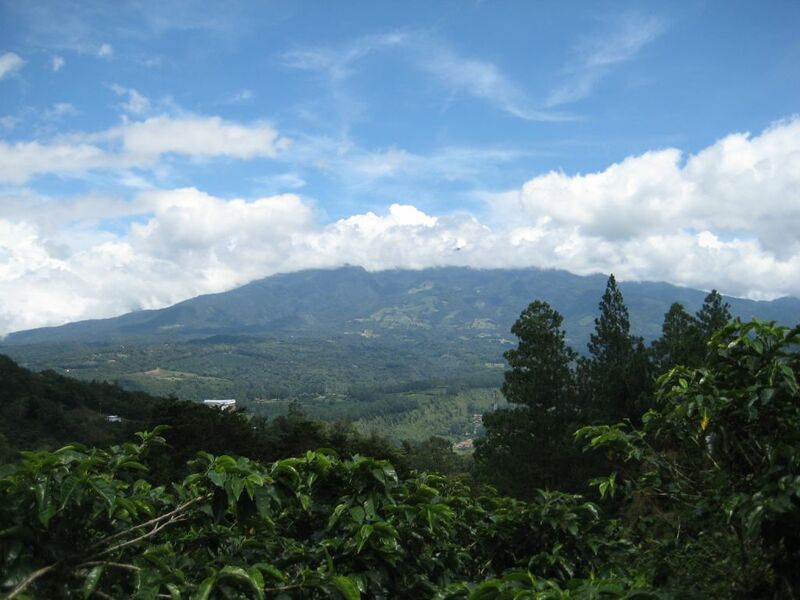 Coffee trees, avocado, banana, almond, berries … paradise. Places so starkly beautiful as Alto Jaramillo, Boquete, Panama are few in this world. We are so fortunate to be here!